This game is an action-adventure platformer game, originally released in 1998 by Rare for the Nintendo 64 console. 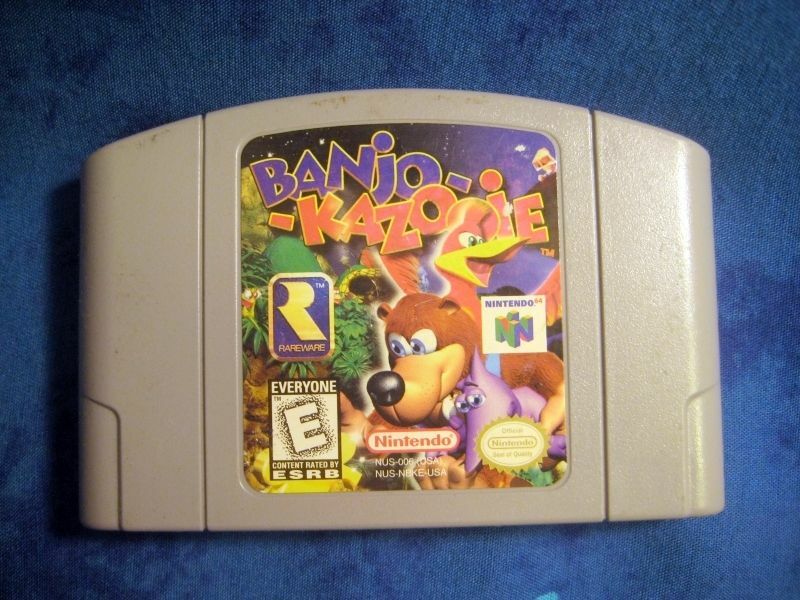 It features a bear named Banjo, and his bird friend Kazooie who tags along in his backpack. The two have to go through multiple colorful and imaginative worlds to free Banjo's sister Tootie from the evil witch Gruntilda. The witch plans on stealing Tootie's beauty for herself so she can rule over all of the worlds. Featuring stunning 3D graphics for the time and creative level design, Banjo-Kazooie is a very fun game, reminiscent in style to the popular and successful Mario 64.